10 km or approx €20 in a taxi. 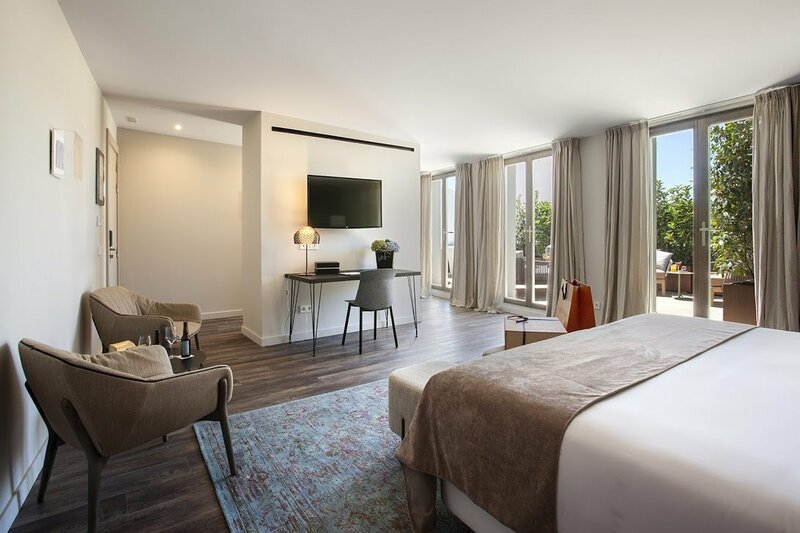 There has been a trend in recent years of iconic buildings in Palma being converted into hotels and the opening of Boutique Hotel Sant Jaume is the most recent success story of this trend in high end luxury in the heart of the City. This grand hotel is situated perfectly. In a quiet narrow street between the Gothic Sant Jaume church and the Santa Magdalena Convent, just minutes from the main shopping street of Jaime III and all of Palma´s attractions. 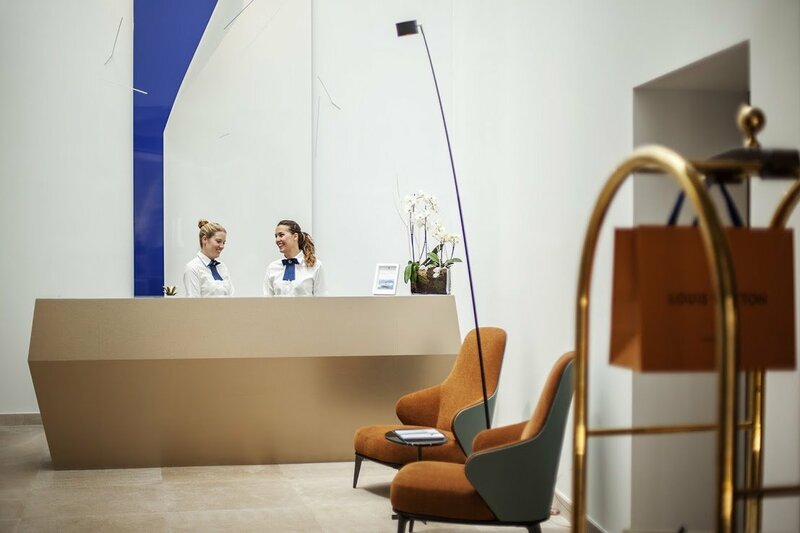 The reception area is flooded with natural light provided by the dizzying atrium complete with towering blue and white art work by leading Spanish artist Robert Ferreri Martonell. The 36 bedrooms which are set over four floors are bright and exquisitely designed with contemporary paired down luxury furnishings. With wooden floors, antique style rugs, hand crafted table lights, super soft bedding, lush fabrics you will find yourself in a sumptuous haven. Then there is the Sant Jaume suite. 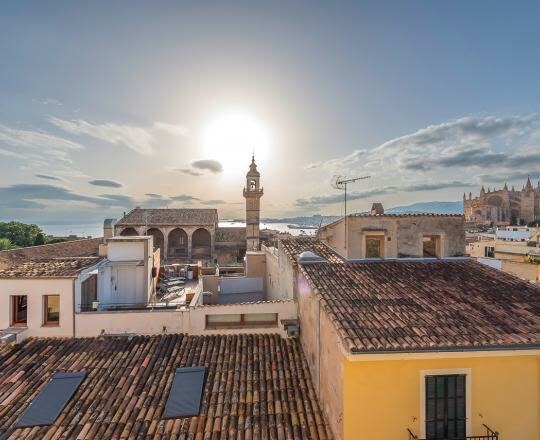 Set to become the `must-stay suite´ for visitors to Palma, it boasts a private terrace and jacuzzi complete with outside shower. A must for a clever low season traveller. 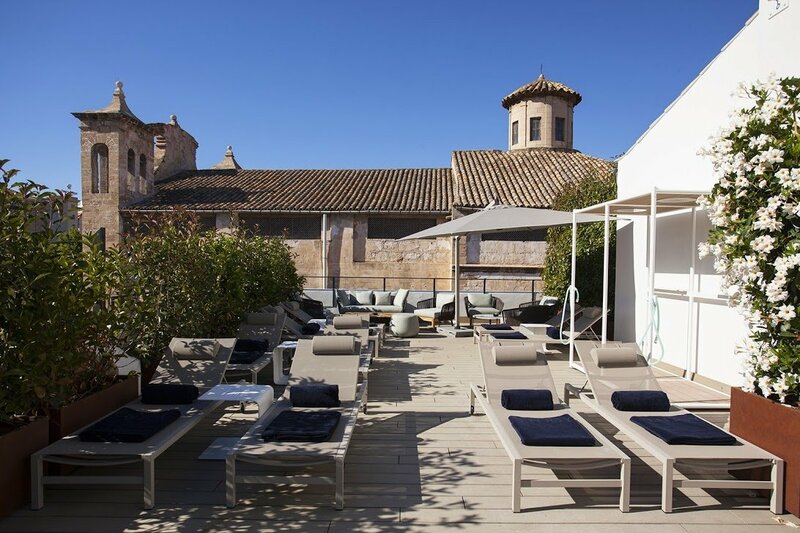 Make your way up to the fourth floor sun deck and drink in the views over the roof tops and spires of Palma´s old town and across to it´s majestic cathedral. Surrounded by sunbeds and with a pale blue plunge pool, this is the place to flop and relax. For cooler days you can retreat to the welcoming bar area or the wellness area on the lower ground floor complete with heated pool, Finnish sauna and treatment room. This hotel group also offers the opportunity to get out on the water. 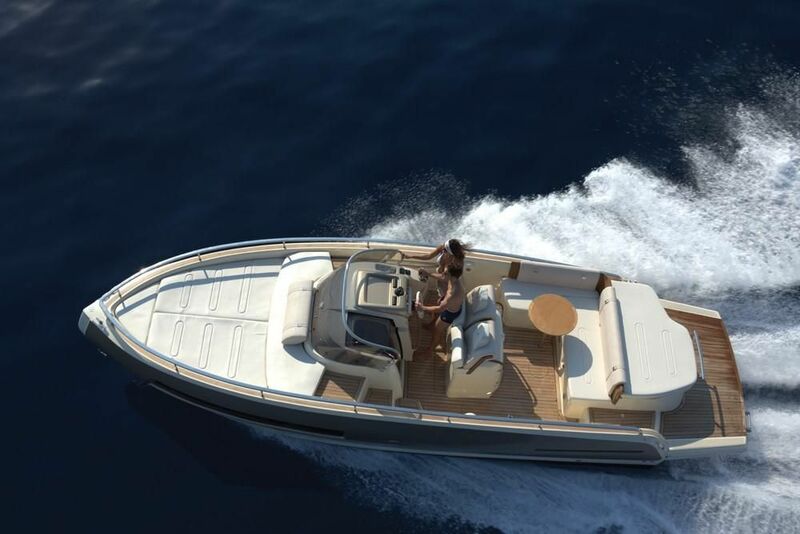 Owning their own Italian designed Invictus 280 GT speed boat, you can charter it for the day or half day. Seating 7 plus the skipper, the rates are very reasonable, offering you the chance to enjoy an onboard picnic or be´ jetted` to lunch at a local restaurant. So if your´re wondering whether to try the `new kid on the block´in Palma´s luxury hotel scene, I promise you will not be disappointed. Have a quick read about their service on TripAdvisor reviews. The sheer majesty of this building from the minute you enter gives you a feeling of space which you would not expect from this narrow Palma street. The stylish and thoughtful of the hotel ensures that each visitor will enjoy a sense of calm and space despite being in a bulls-eye location. From the roof terrace you eye can wander in all directions and take in the beauty of your location. 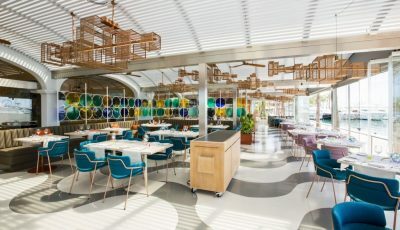 There is a foodie feast in store with the in – house dining courtesy of Fabiola Gastronomic Garden restaurant, which is fast becoming the new place to dine for lunch or dinner. The pineapple green themed wallpaper as well as cutlery and crockery form the design elements, which works surprisingly well. But its what is on the plate that counts. Caring is sharing and when we gather around a table it is the perfect time to celebrate the food and share tastes. The menu allows for all the plates to be shared so no one suffers food envy! You will be wowed! And no taxis home, just a gentle stroll for a nightcap in the bar then wend your way up to bed. Easy. Breakfast, which is included in the room rate, is truly a leisurely affair served between 08.00-12.00pm in the Tomeu Restaurant. Set in a bright light room flanked with windows you can enjoy a buffet style breakfast and a la carte menu. 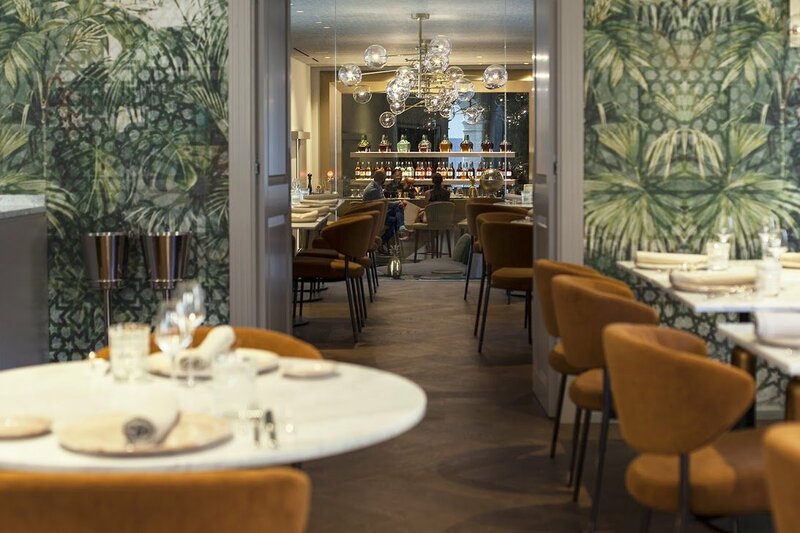 Tomeu Restaurant amb Arrels is open for lunch offering a Menu del Diá priced at €28 for three courses, exceptional value, as well as dinner which is a sumptuous gastronomic journey of five (€55) or eight courses (€80 ). Not to be missed! 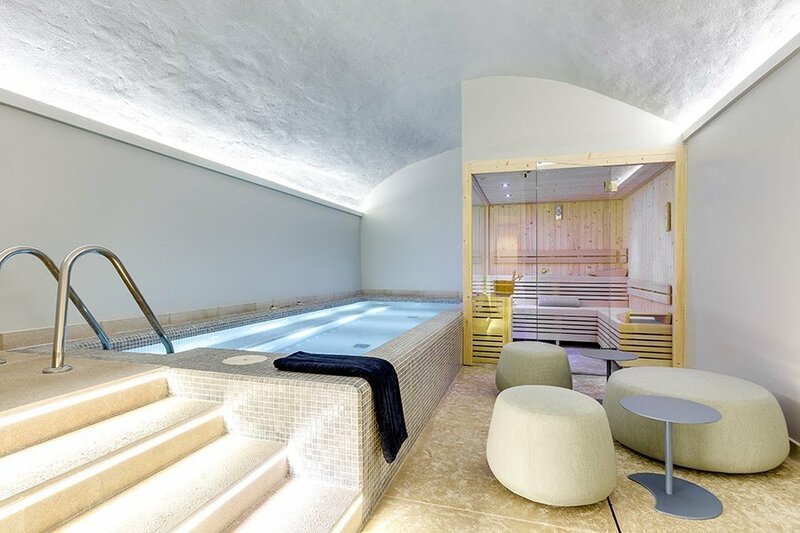 Images kindly provided by Boutique Hotel Sant Jaume.